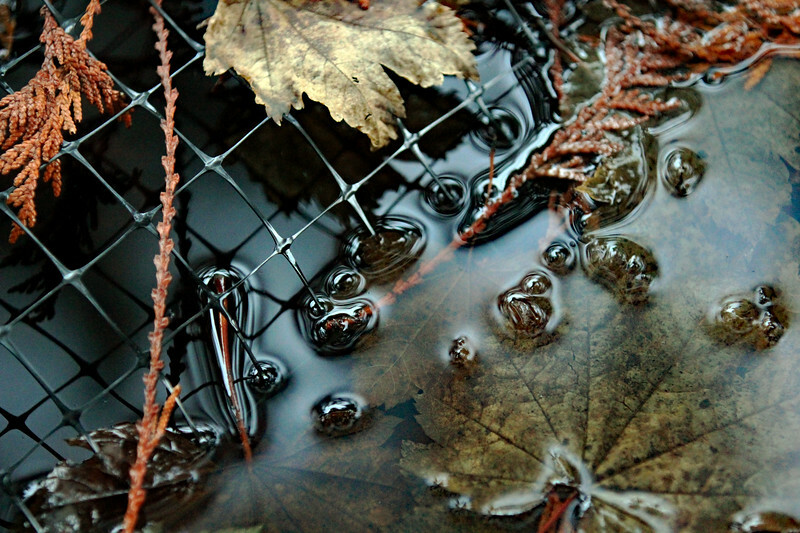 My pond collects many things over the winter....namely maple leaves, cedar boughs and twigs. The netting is being weighed down by the fallen leaves. I like the reflective light of the sky highlighted in the water, the rings of bubbles where the net is submerged and the shadows of the leaves on the water.